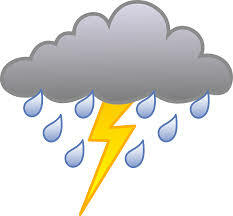 Weekdays: weather information is usually updated by 3:30pm - which fields are closed (if any) due to weather conditions. Sometimes, the weather situation may change later in the day, and cancellation decisions will have to be made at the fields. Some fields may remain open while others close, so listen carefully to the weather information record message. Each club makes the weather-related decisions for their own home games, so get the information from the opposing club. Get opposing club weather information below based on age and competition level.